Meet the new Samsung Family Hub! This smart refrigerator with an integrated 21.5-inch touchscreen, Harman Kardon AKG speaker and Bixby, can do everything from creating shopping lists to coordinating schedules and playing songs and movies. Everyone has appliances, but how many really serve us well? With the hectic lives that we lead, products need to get smarter - enhancing our efficiency and productivity, while being easy and fun to use. Samsung understands the demands of the modern household and has worked at developing smart products for the home – so you can be in control. This smart front-load machine features a unique Q-Drum™ technology comprising drum and a back plate that rotates independently. What you get is a solid cleaning performance in half the time it takes a conventional machine, plus 20 per cent savings in energy1. Its artificial intelligence-powered laundry assistant, Q-rator2, offers three smart features to help you manage your laundry more conveniently – from recommending the optional wash cycle for the load and curating your laundry schedule3 to proactively monitoring your washing machine’s condition and providing quick and easy remote troubleshooting support. Too tired to vacuum? Let Samsung’s POWERbot do the job then. 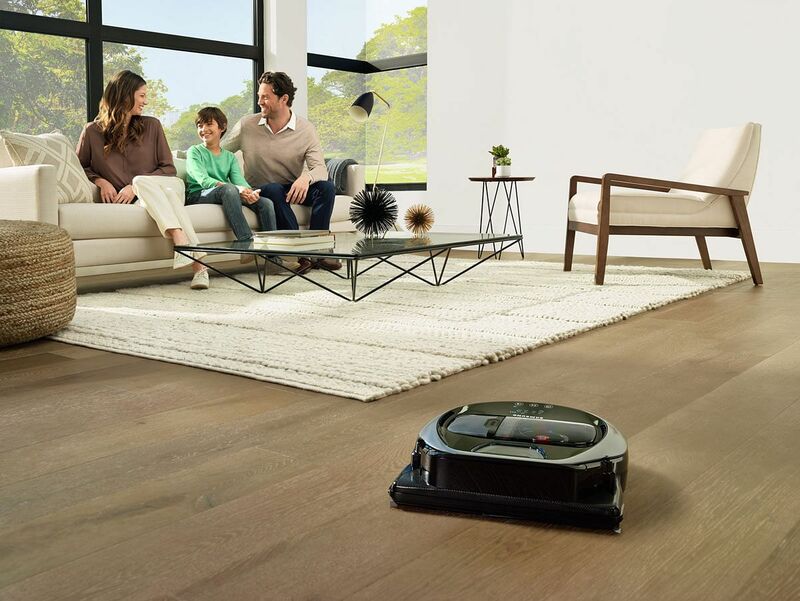 It delivers excellent cleaning results with 40 times more suction power4, even as its digital camera and smart sensors create an optimal cleaning path by scanning your home’s layout and its surroundings. Then there’s Edge Clean Master - an innovative shutter that extends out to capture debris trapped in corners and edges of the wall. The machine is Wi-Fi enabled5, so you can remotely control your robot vacuum with your smartphone. Samsung’s system with ticks and Built-In Smart Wi-Fi® - the first in Singapore, comes with the Samsung Digital Inverter technology that helps to maintain the ideal temperature without consistently turning the compressor on and off even when the air conditioner is running.Its Built-In Smart Wi-Fi® capability allows you to remotely operate and monitor the system anytime, anywhere, using your smartphone6. You can control the air conditioner’s operations, monitor energy usage by checking on the number of hours the air conditioner has been in operation, set a reminder to clean its air filter based on usage and conduct a self-check for possible issues with your unit when it is not operating properly. Samsung’s flagship QLED TV for pure entertainment for your eyes. Powered by Q Engine, it instantly analyses every scene you see to deliver the most in excellent contrast, colour and details. 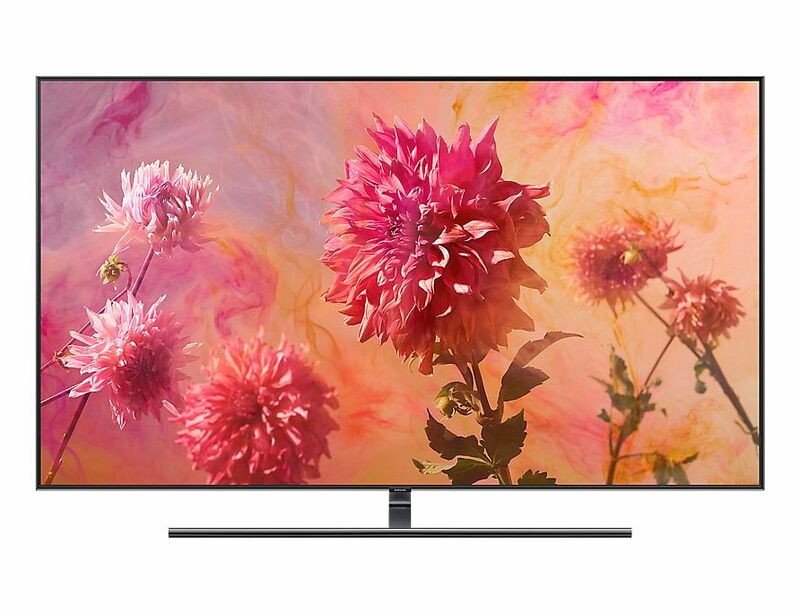 Its ground-breaking Quantum dot technology brings pictures to life in accurate colours; the Q Contrast allows you to see every detail whatever the room’s lighting condition; and Q HDR Elite powered by HDR10+7;delivers a wider range of brightness and contrasts to bring all picture nuances to life. Don’t want a black screen when you’re not watching anything on TV? Magic Screen8 lets it plays music, display useful information, photos or decorative content, so it blends perfectly with your décor. The One Remote Control9 means you can stop fumbling around for the right remote and still control all your connected devices. In short, distractions are removed, leaving you amazing picture quality and viewing experience. This award-winning Family Hub™ refrigerator11 sets a new standard for connected living, built with an integrated 21.5-inch touchscreen and Harman Kardon AKG speaker has entertainment and communication capabilities. Bixby, the machine’s built-in voice control system, helps you navigate apps hands-free in the midst of cooking or read out your morning brief. The Family Hub™ can help with food management by taking stock of expiring food in your fridge to reduce food wastage, syncing your family’s calendar and showing what’s in your fridge - remotely through your mobile device via pictures taken by three built-in cameras. Watch your favourite shows in the kitchen by simply mirroring your Samsung Smart television12 or phone screen with the Family Hub™, or play music via Spotify or local radio stations. The Family Hub™ also has the SmartThings app, a home automation system that connects with other Samsung smart appliances13. When wired up to a Ring doorbell14 or security camera, you can check who’s at the door while you’re cooking, and even communicate with guests. is so much more than a refrigerator. It is a new kitchen experience. 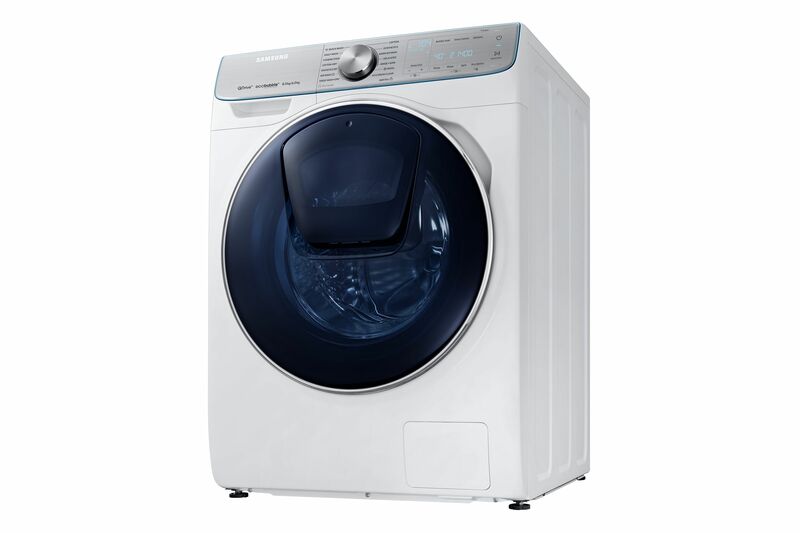 1 Based on Intertek test results, Samsung WW7800M (QuickDrive™ system) saves up to 50% washing time and up to 20% energy as compared with WW6500K (conventional system), based on Cotton 40℃ course, half load (washing performance within ±3%). 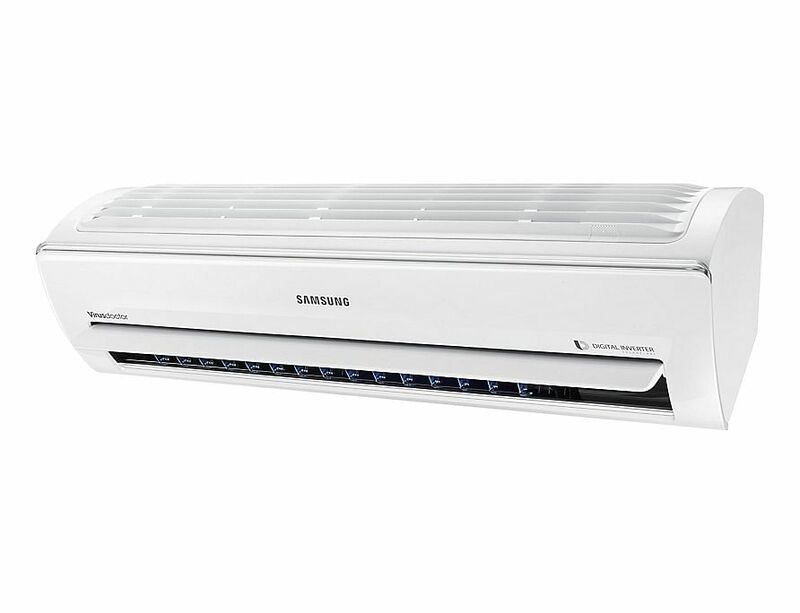 Based on Samsung internal test results, Samsung WW7800M saves up to 20% energy as compared with WW6500K, based on Super Speed Cycle 40℃ course, 5kg load. Tested in accordance with IEC 60456:2010, individual results may vary. 2 Requires installation of Samsung Connect app on compatible Android or iPhone mobile device, and Wi-Fi® connectivity to the mobile device. 3 The wash cycle will be recommended solely based on desired end time, and may not be appropriate based on the type of fabric or soil level of the clothing articles being washed. User is solely responsible for any consequence(s) that may result from user’s implementation of the recommended wash cycle, including but not limited to any damage to the articles caused by incorrect or incomplete information provided by the user. 4 Generates 10% more suction than Max, Normal and Quite Mode respectively. 5 Only applicable to VR20M7070WS. 6 Requires installation of SmartThings on compatible Android or iPhone mobile device, and Wi-Fi® connectivity to the mobile device. 7 The peak brightness may vary depending on the model and size of the TV. The HDR10+ certification may vary by model and only available on HDR10+ content. 8 Magic Screen background setting feature may vary depending on the environment where the TV is installed including, but not limited to wall designs, patterns and/or colours. 9 Subject to device compatibility. Design of One Remote Control vary by models. 10 Family Hub™ requires an internet connection and Family Hub™ App. Apps and services are subject to change without notice. Data usage fees may apply. Family Hub™ App is compatible with Android 4.4 and higher or iOS 9.1 and higher. 11 2018 CES Best of Innovation Award. 12 Compatible with Samsung TV 6400 series or 2015 TV models and above. 13 Subject to device compatibility. 14 Ring doorbell sold separately.